Dominion is unrelenting in its exposure of cruel animal treatment. The film provides little solace to its watchers and instead pushes their face right up against the window to the reality of animal agriculture. After debuting in Australia on March 29, 2018, the moving documentary Dominion, an eye-opening look into the realities of animal agribusiness, has been making its way around the globe, drawing crowds, and selling out premieres. 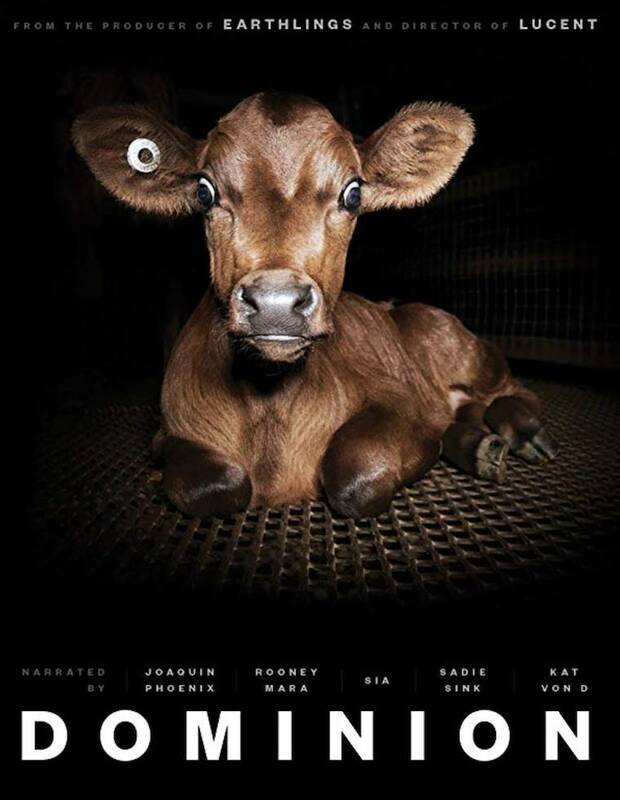 Having just made its U.S. debut at the Animal Rights National Conference in Los Angeles, Dominion was written and directed by Chris Delforce and co-produced by Sean Monson, producer of the 2005 film Earthlings. Similar to Earthlings, Dominion offers an undercover look at factory farms and slaughterhouses, where millions of animals are slaughtered per day in horrific ways around the world. Delforce’s Dominion provides an updated look at these atrocities with brand-new footage from high-resolution hidden cameras and drones. The making of the film, however, was not without its challenges. Shortly after releasing Lucent, Delforce’s film focusing exclusively on Australia’s pig industry, his house was raided by police. About twelve officers spent hours going through and confiscating computers, filming equipment, and hard drives. Delforce was charged under the Surveillance Devices Act in Australia, in the first case in which the act was used to target animal activists. However, the police were unable to prove that they had authorization from the state to place the charges, so the case was dismissed. With a team of donors, undercover investigators, and celebrity narrators, Delforce was able to go on to make Dominion. More all-encompassing than his previous film Lucent, this film would cover various animals and their “uses,” including scientific research, entertainment, clothing, and food. The film will soon be made widely available for rental or purchase. As of July 13th it has been available to rent for $0.99 or to purchase for $4.95 at watch.dominionmovement.com/a>. Delforce told Plant Based News that he was also pitching the film to Netflix.